Your attorney is your advocate and will be researching every component of your case to uncover the potential indicators of liability from the car accident. Spinal cord injuries require immediate medical attention. The injury may be more serious than you realize, even if you aren't experiencing any symptoms. This is not only important for your health, but if you neglect to seek medical attention and things continue to get worse, it could have an affect on the relevance of your case. To determine where responsibility lies, an investigation will have to be done to find exactly what went wrong and who was involved. There are a lot of factors when it comes to car accidents; therefore, it is important to investigate every detail of your situation. Thankfully there are lawyers who specialize in taking a closer look at each individual case to discover who is liable for the incident that occurred. 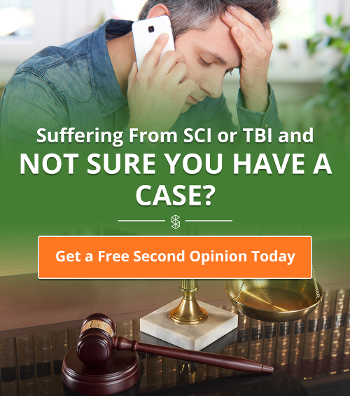 These lawyers are there to help you sort out the facts of your case and relieve you of the weight of the expenses that have come your way -- which can cost over $1 million in the first year alone depending upon the location of the injury. If someone has breached one or more of these duties - they are now open to being found responsible for your spinal injury. The first thing to understand is that you deserve help. This should have never happened to you and you should not have to face the repercussions for someone’s carelessness on your own. If an employee driving their company car caused the accident - the company would be responsible. If someone else owned the car that was responsible for the accident and knew it was irresponsible to allow the person operating it to be behind the wheel, they would be liable under negligent entrustment. 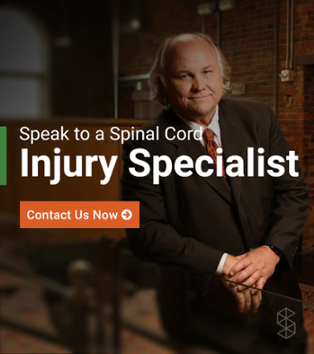 Medical treatments and residual expenses for a spinal cord injury can add up to as much as millions of dollars -- this is why it is important that you find a good lawyer who can determine who is liable for your injuries and will ultimately be responsible for those costs. It is advised not to talk either party’s insurance company without the assistance of a lawyer. You may also come upon some issues with your own insurance company if you are not covered for your vehicle and/or the other party doesn't have the insurance to cover your injuries and damages cause by the accident. Therefore you do not want to hesitate to seek out help. When it comes to the health, safety, and well-being of your family, you cannot solve all of these issues on your own.